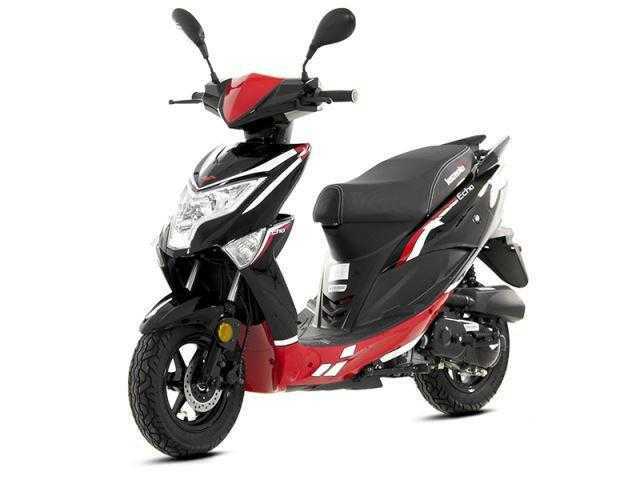 ECHO, Available in Black/Red or White/Blue, £1,095.00 â€œOn The Roadâ€ inc Road Tax,etc. Please contact us for a full personal quote. The Lexmoto Echo is a bike that encompasses all of the brand values associated with the Lexmoto range. A smooth 4 stroke motor delivers performance and reliability that make it a sheer joy to ride. The stylish modern design makes the Echo stand out and attract lots of positive attention with details like the LED rear cluster and Headlight.